The worst mischief comes in the amendments. Among those added in Wednesday's markup, perhaps the most damaging is one introduced by Representative David Price (D., N.C.), supported by Representative Kevin Yoder (R., Kan.), chairman of the panel's Homeland Security subcommittee, and approved by voice vote. The measure prevents U.S. Citizenship and Immigration Services (USCIS) from implementing the attorney general's ruling regarding eligibility for asylum. In particular, that amendment bars the use of funds to "implement, administer, enforce, or carry out ... any of the policy changes" in USCIS's policy memorandum PM-602-0162, or the July 11, 2018, memorandum issued by the Office of the Principal Legal Advisor (OPLA) at U.S. Immigration and Customs Enforcement (ICE) captioned "Litigating Domestic Violence-Based Persecution Claims following Matter of A-B-". Attorney General Jeff Sessions issued a decision in Matter of A-B- which provides bright-line rules for immigration judges, asylum officers, and the Board of Immigration Appeals (BIA) to follow in adjudicating asylum claims based upon criminal harm inflicted or threatened by non-government actors. U.S. Citizenship and Immigration Services (USCIS) issued a policy memorandum last week providing guidance for asylum officers in the field to use in adjudicating refugee, asylum, reasonable fear, and credible fear claims following the recent decision of the attorney general (AG) in Matter of A-B-. That guidance, which faithfully implements the AG's decision, will likely significantly increase the denial rates for asylum claims, as well as the number of negative credible- and reasonable-fear findings. The AG did "not decide that violence inflicted by non-governmental actors may never serve as the basis for an asylum or withholding application based on membership in a particular social group." ... Particular social groups premised on domestic or gang violence, or premised on private criminal activity more generally, may not be recognized after A-B- unless those asylum claims survive the "rigorous analysis required by the Board's precedents." When analyzing whether a proffered particular social group is cognizable, the key issue for OPLA attorneys is to look at each proposed group on a case-by-case basis and under the facts presented in a given case, and to subject it to the rigorous scrutiny required by A-B-and other precedents. Where a case involves a pro se applicant who raises a particular social group formulation that is clearly based on the harm suffered and/or feared, it is a best practice for an OPLA attorney to advise the IJ of this problem as early in proceedings as possible. (OPLA attorneys, of course, should not be providing legal advice to applicants.) Though adversarial, a "cooperative approach" in Immigration Court should not be eschewed. ... Then, as the IJ sees fit, the IJ can explain the situation to the applicant and provide her with an opportunity to revise her formulation. Such practice may ultimately help any agency decision denying asylum and statutory withholding of removal withstand judicial scrutiny. Moreover, although the ICE memorandum is captioned "Litigating Domestic Violence-Based Persecution Claims", it applies more generally to all claims "premised on private criminal victimization". Finally, the analysis in that memorandum is not solely limited to the AG's decision in Matter of A-B-, but rather relies more generally on years of precedent, including the seminal asylum case, Matter of Mogharrabi, which has stood for more than 31 years. 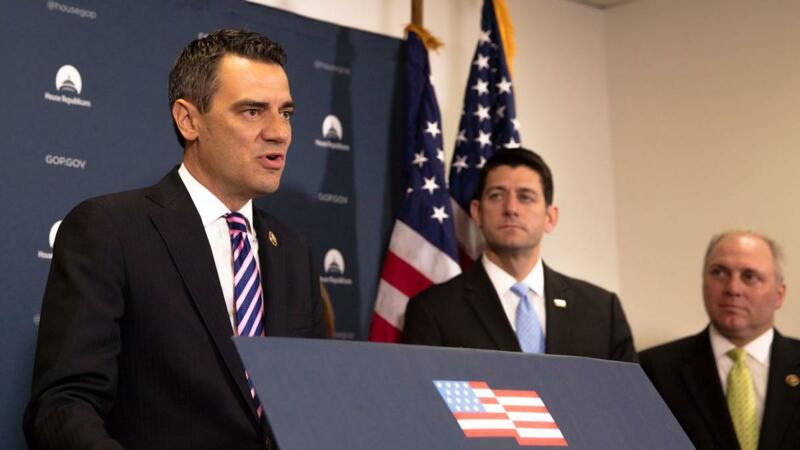 Were the Price-Yoder amendment to be signed into law, the attorney general's ruling would remain unchanged, but USCIS officers could not rely on it in making credible-fear determinations. It's not clear how that would work as a practical matter, but the clear goal is to ensure that any alien who claims "persecution" on the ineligible grounds would nonetheless be let into the United States. Plainly, were this amendment to be included in any ultimate appropriation, USCIS asylum officers would be compelled to find a "credible fear" of persecution in cases in which, ultimately, an immigration judge (IJ) would be compelled to deny asylum. Even if the FY 2019 Homeland Security Appropriations Bill were to be passed as written, it would have no effect on the decisions of IJs, who are employees of the Department of Justice and not covered by DHS appropriations, notwithstanding any language in that amendment to the contrary. Rather, it would place those IJs in the position of being bound by the precedent of the AG, notwithstanding the fact that ICE OPLA attorneys would be unable to argue for the implementation of Matter of A-B-, which is by regulation the law of the United States. Individuals seeking covert entry into the United States know they need to pay an organization for transport. Smuggling organizations, often associated with other transnational criminal organizations and able to take advantage of people in desperate circumstances, provide that transportation at a significant cost. Smuggling is a lucrative business. The United Nations Office on Drugs and Crime, in a report issued in 2010, estimated the total income of smugglers of Latin American migrants to the United States at $6.6 billion. At least a portion of that money makes its way into the pockets of transnational criminal organizations, according to ICE, helping to "fuel their other criminal enterprises." It is generally accepted that the main reason that aliens seek to enter the United States illegally is to live in this country and work. If USCIS is forced under the Price-Yoder amendment to find that aliens have a "credible fear" of persecution (notwithstanding the fact that legally they do not), the vast majority of them will be released into the United States to await their removal proceedings, at which time they can make an asylum claim. Eventually, however (as noted above) IJs must deny those claims under the AG's precedent, at which point they will either be removed, or (more likely) join the growing number of absconders under final orders of removal in the United States. The smugglers and the aliens smuggled will benefit from that amendment; the only losers will be the American people, justice, and our nation's ability to control its borders. It is a poor trade-off, and one that Congress as a whole should reject. Smugglers do not need a "relief act".